Thomas Jefferson believed the best government is that which governs least. Some towns take that literally. In August of 2014, DogTime reported on Duke, the Great Pyrenees who received 12 votes to win the mayoral race in Cormorant, Minnesota — a landslide victory. 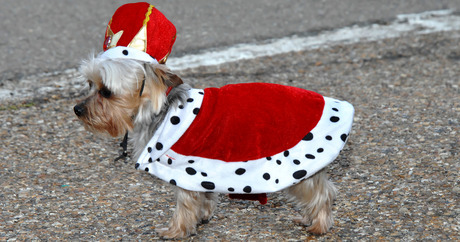 But he wasn’t the first dog mayor. 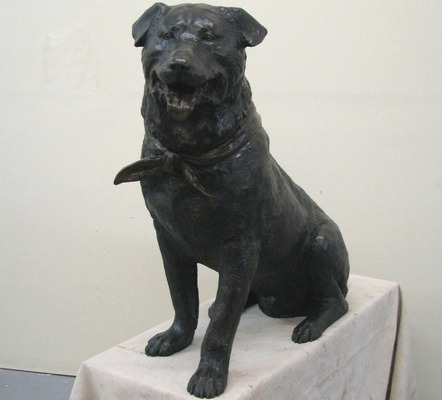 In 1981 a Labrador mix named Bosco was elected honorary mayor of Sunol, California. And in 1998 a dog named Goofy won the election in Rabbit Hash, Kentucky. Rabbit Hash has since elected two more dog mayors, which shows democracy in small towns is like the old VHS player in the garage: It still exists, but no one pays attention to it. If you live in a town called Whangamomona, some insanity is expected. So it’s no surprise that when residents of the New Zealand hamlet threw a fit over plans to redraw their county boundaries, they declared themselves the Republic of Whangamomona and elected a goat named Billy Gumboot president in 1999. 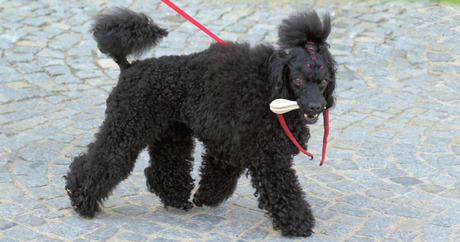 Two years later, when Billy died while serving his term, a Poodle named Tai took office. President Tai served as well as you’d expect until another dog attacked him while he was eating a bone, which some consider to be an assassination attempt. Tai survived, but found it difficult to keep up with the stress of the job after that. In the 13th Century, a French knight left his Greyhound named Guinefort to guard his son while he hunted. When he returned, Guinefort had blood on his mouth, and the knight’s son was nowhere to be found. The knight killed Guinefort because he believed the dog killed his son, and because he was a big dumb jerk (and I hate him). The knight then heard a child crying, turned over the bed, and found his son near the body of a viper. Turns out Guinefort saved his son from the venomous reptile. After that, the family laid Guinefort to rest in a well and built a shrine. Locals called Guinefort a saint, and his cult lasted into the 1930s; the knight, however, is forever known as a really not cool guy. Stupid humans. 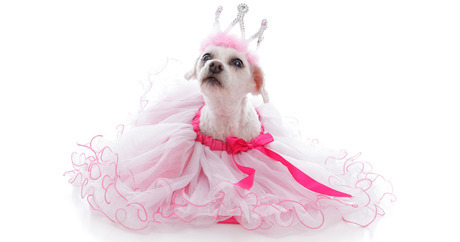 There are several Scandinavian legends of dogs that earned the highest title in the land. It’s hard to pick out historical truth from myth, but one of the most interesting accounts is of Saur the Dog King. According to the story, a Scandinavian king sent his son to rule over a newly conquered territory, but when the citizens assassinated the son, the vengeful king gave them the choice of having a slave or a dog as their new ruler. The people chose the dog, and Saur came into power, reigning three years as a wet-nosed, bone-chomping, rug-wetting, adorable little despot.